Just imagine yourself sitting on the comfortable couch of your home while enjoying the 3D panoramic views of Tuscany’s scenic setting, Cappadocia’s mars-like landscape brighten up with tangerine dusk light, or marveling at the epitome of love – Eiffel Tower – in Paris. Yes! Virtual Reality has now made all this possible for us. And if by any chance, you are oblivious to this newest trend in the world of technology and wondering how it can acquaint you with your dream destinations across the world, first we will clear the air for you. Virtual Reality is a technology used on computers or mobile devices to create a simulated 3-dimensional world. 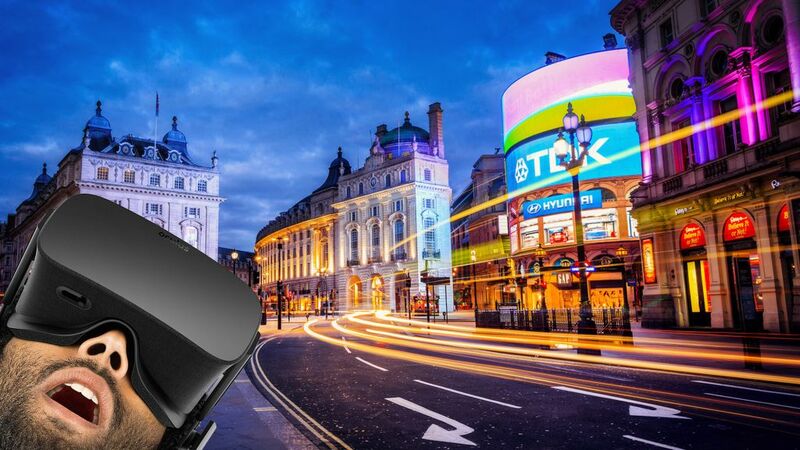 It can give you a 3D view of a city, hotel, showroom, or a hospital. There is a slew of Apps that allow users to enjoy a new experience via 360-degree immersive videos that teleport the user to anywhere in the world. As this technology has improved over the time, it has made virtual tours of places possible by using the correct equipment. The newest Samsung Gear VR and Oculus Rift headsets are quickly adapting to the virtual reality space and have made virtual tours economical and convenient. These virtual reality devices can drop people into new, fully immersive environments, giving them a temporary break from reality. While VR has already brought revolution in the worlds of gaming, cinema, medical training, and journalism, according to experts its best use may lie in tourism. And, here’s how it is reshaping the world of travel. You might just take a virtual tour of Paris, Las Vegas or Hong Kong on a sheer curiosity of how a 3D video of a particular place would look like, but this is likely to spark your wanderlust and you may end up planning an actual holiday. An App called “Ascape” has more than 100 virtual tours of the most stunning destinations, including cities, resorts and experiences. Isn’t this a great way to find your travel inspiration? However, many people doubt that this may satiate a person’s travel desire as they would be able to see places without even leaving their couch. Contrastingly, a research showed that two out of three US traveller’s say they are likely to be influenced by being exposed to VR experiences. The picture of a scrumptious cake may invoke a cake craving, but it won’t satiate your desire until you eat it. In the same way, Virtual Tours will only inspire people to travel more. The reason Virtual Reality has become the hottest trend in the travel industry is that it helps travelers see what they will experience on an actual trip. Sure, it can’t be compared to real life travelling experiences, as one can’t make memories and enjoy varied experiences a particular place has to offer. However, VR will definitely allow you to take a preview of your desired destination so you can gauge if it has everything that interests you. So, it’s more of a test drive or ‘try before you buy’ thingy. Google Street View allows you to literally go anywhere in the world. The App has a great interface which lets you navigate smoothly. Just tap and stride anywhere on a particular street, or jump from one street to another. You can also zoom in and zoom out or click on a microphone to say the name of the place to get transported there in a jiffy. This makes VR not only a fun way to explore places, but also a great way to take informed decisions about your holidays and travel plans. 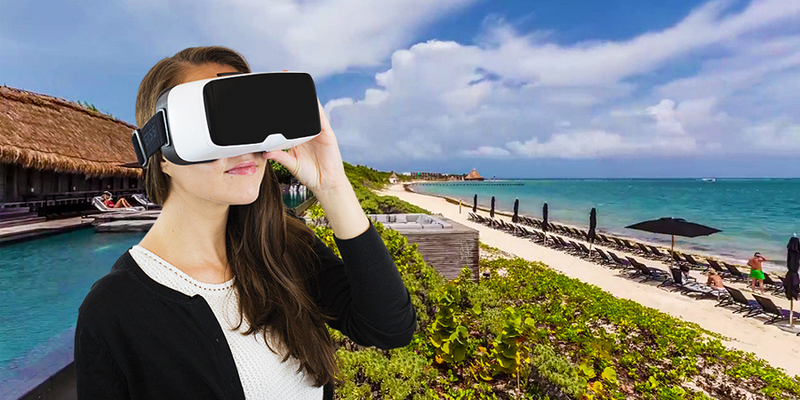 With VR you won’t have to scour hundreds of websites to make your itineraries and plan your vacation. It’s the quickest way to do a detailed research on a destination. You can simply teleport yourself into an experience to gauge if it is similar to what you expected. And, if it does serve the purpose, you can go ahead and make a shortlist of your trip. 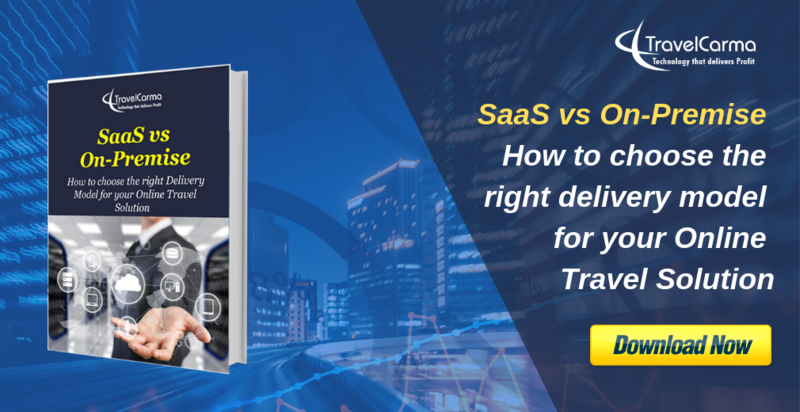 When you have a fair idea that you will be able to do things that you love doing in a particular region, there is no room for doubt and planning becomes hassle-free. Now, this may startle you but it is true. Virtual Reality has made even an up-close virtual encounter with extreme experiences possible. These extreme experiences may include scuba diving, zip-lining or skydiving. This means you can now immerse yourself in a wide range of experiences that you can’t even think of experiencing until you try it. 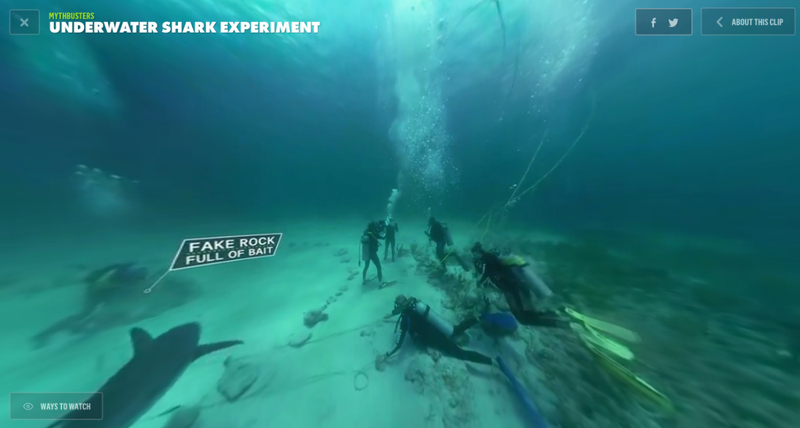 The App called Discovery VR is the newest adventure in virtual reality. You will be able to indulge in heart-pounding adventures and stunning celebrations of our incredible planet with its dynamic 360 video experiences. Travel Agencies, Tour Ops and DMOs: They can entice travelers to their packaged or customized holidays. People would be able to see the 3D videos of the highlights of the holiday they desire to buy, and this will especially help sell smaller and lesser known destinations. Hotels: They would be able to showcase their accommodation options and the destinations they are located in. Giving a 3-D view of hotel rooms, suites, restaurants, lawns and ballrooms would certainly help customers to experience the facilities before booking. Airlines: The airline industry has also started soaring into the world of virtual reality and augmented reality. They can give their passengers a glimpse of a destination before booking a flight. Qantas Airlines has made the best use of virtual reality so far. The airline launched a trial service which gives passengers a unique experience in an interactive 360° cinematic video format. The VR headsets in the flight take customers to a 3-D immersive world where they introduce customers to network destinations, their latest products and in-flight blockbuster. 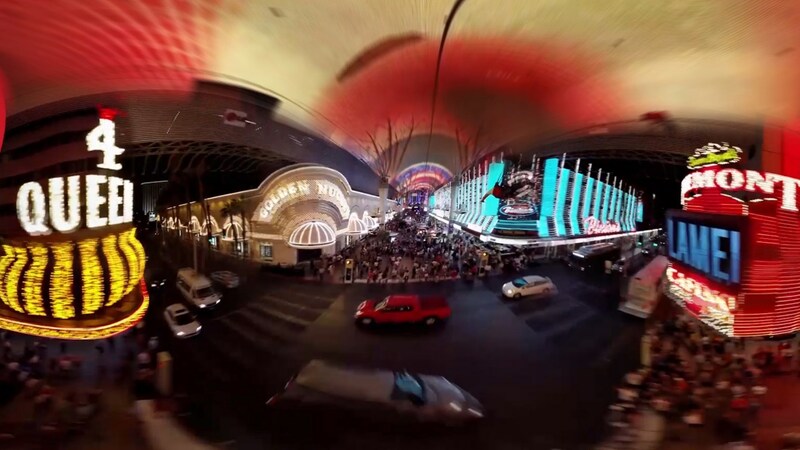 Las Vegas is the latest destination that has taken a VR plunge with an App called Vegas VR. It allows you to whip around the city and immersive yourself in Vegas experiences. You can take 360-degree video tours of attractions, hotels, restaurants and clubs. According to Vegas travel authority, Virtual Reality is the future of vacation planning. Virtual tours will help plan vacations that suit your travel style and desires. Do you think virtual reality can ever get so advanced that it will stop people from travelling or it will only give wings to a traveler’s imagination? Let us know you thoughts in the comments below. Helpful information, thanks for writing and share this information And its true there is a science to adventure.